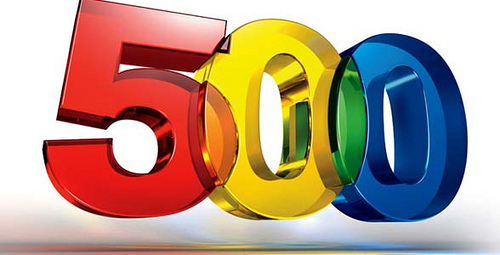 The Yellin Center Blog: 500 Posts and Still Going Strong! Today marks our 500th Yellin Center blog post and we thought you might like to know something about the folks who write our blogs and who have helped us to reach out to you with news, information, and the latest research findings and educational tools since we first began blogging in August 2009. Most of our posts in the past year or two about reading, books, and teaching strategies have been the work of Beth Guadagni, a Yellin Center Learning Specialist. Beth earned her bachelor's degree at Vanderbilt University, double majoring in English and secondary education, and her master’s degree in literacy from Columbia University's Teachers College.She is a New York State certified reading specialist who taught English at both the high school and middle school levels before joining the Yellin Center staff. Our blogs about special education laws, schools, and the latest research findings have generally been the work of Susan Yellin, Esq., our Director of Advocacy and Transition Services. Susan has been an attorney for over 25 years and brings to the blog the perspective of a parent of three sons, one of whom has learning difficulties. She is also the author of an award winning book, Life After High School: A Guide for Students with Disabilities and Their Families (Jessica Kingsley Publishers, 2010). Here at The Yellin Center she works with families seeking help to understand the world of special education and to guide them as they make school decisions. She also works with college bound students with learning and attention difficulties as they move on from high school to post-secondary education. Jeremy Koren, the Director of Communications at the Yellin Center gives our blog its "bells and whistles" and every so often will write a post on technology. Jeremy has been with the Yellin Center since its inception and, in addition to handling all of the technological aspects of our blog, especially the illustrations and video, is also the Yellin Center webmaster, responsible for our newly revamped website, our newsletter, and our Twitter feed. In addition to his many roles here at the Yellin Center, Jeremy will be adding a new one some time in the next few weeks as he and his wife Meghan, a former Yellin Center Learning Specialist, become parents for the first time. Last, but certainly not least, is Dr. Paul Yellin, who contributes blogs on conferences and meetings he has attended, research that he has read, and issues of medical importance whenever his hectic schedule permits. We welcome guest bloggers and comments on our blog posts, and encourage you to sign up for our Twitter or RSS feeds to stay up to date. When you visit our offices, take a look at the bound volumes of past years' blogs in our reception area. It has been a privilege writing for you and we look forward to keeping at it for many years to come.